Hi Guys! I hope you are good. 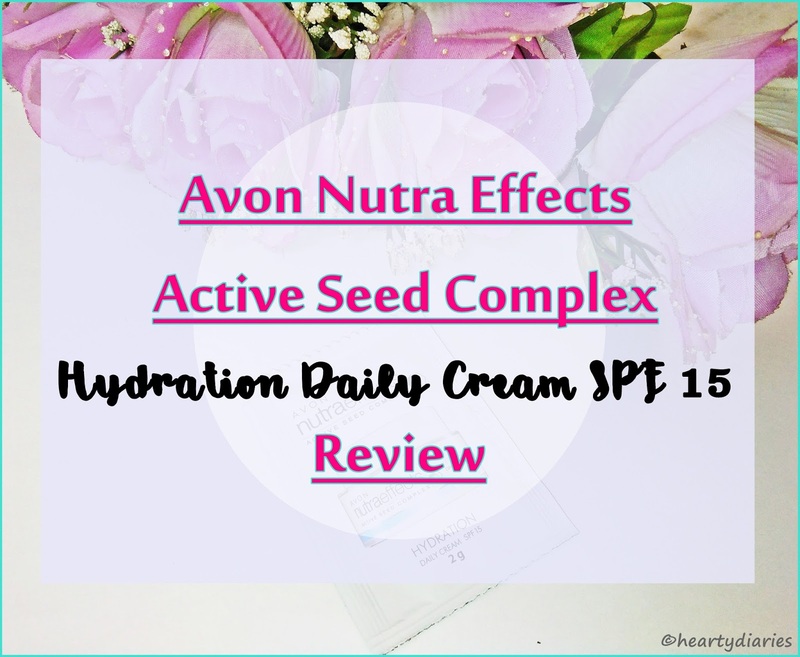 Today I am sharing my review about Avon Nutra Effects Active Seed Complex Hydration Daily Cream SPF 15 with you guys… I recently reviewed Avon Nutra Effects Ageless Multi Action Cream SPF 20 as well which you may read if you like. Moisturising our skin is as important as cleaning and toning it as these three go hand in hand. No matter what our skin type is, it always needs a sufficient amount of hydration. Hydrating the face makes it look healthy and replenished. Moisturizing dry skin makes it much better and hydrated but do not think that oily skin doesn’t need moisturization. Every kind of skin needs to have a balance to stay happy and meet the essential water requirements. Even I thought I didn’t need a hydrating cream since I had oily skin but I’m glad that I came to know that if the skin is not moisturised enough, it is more prone to wrinkles and acne. 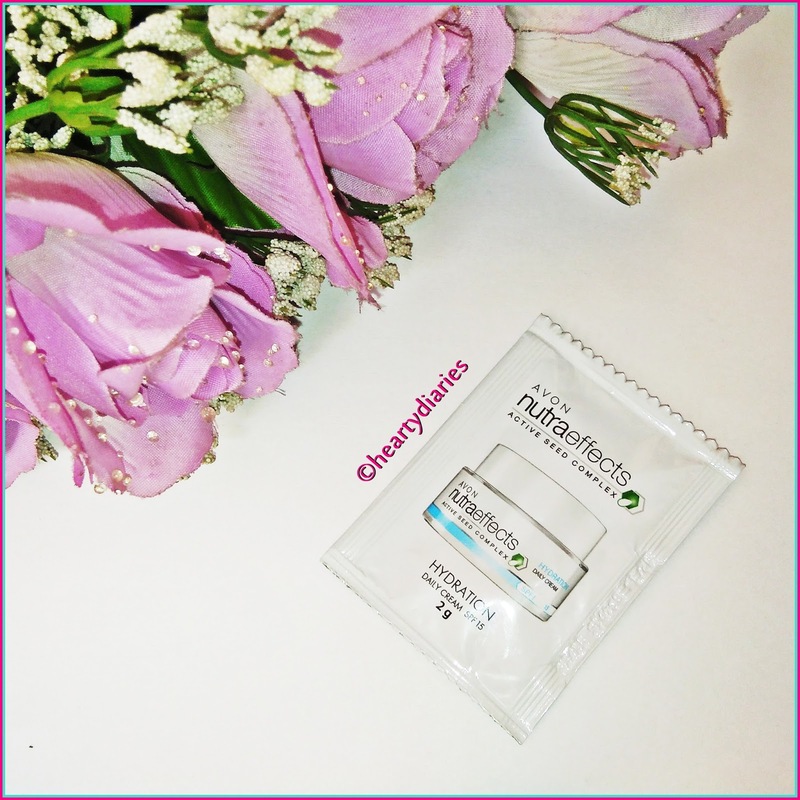 My review is based on my sensitive, acne-prone and very oily skin via a 2 gm sample worth Rs. 15 that I bought a while ago from Snapdeal. What suits me may not suit you and what doesn’t suit me, may suit you. Its all a matter of our skin types and choices. Maybe you would highly agree or disagree with me after reading this review. 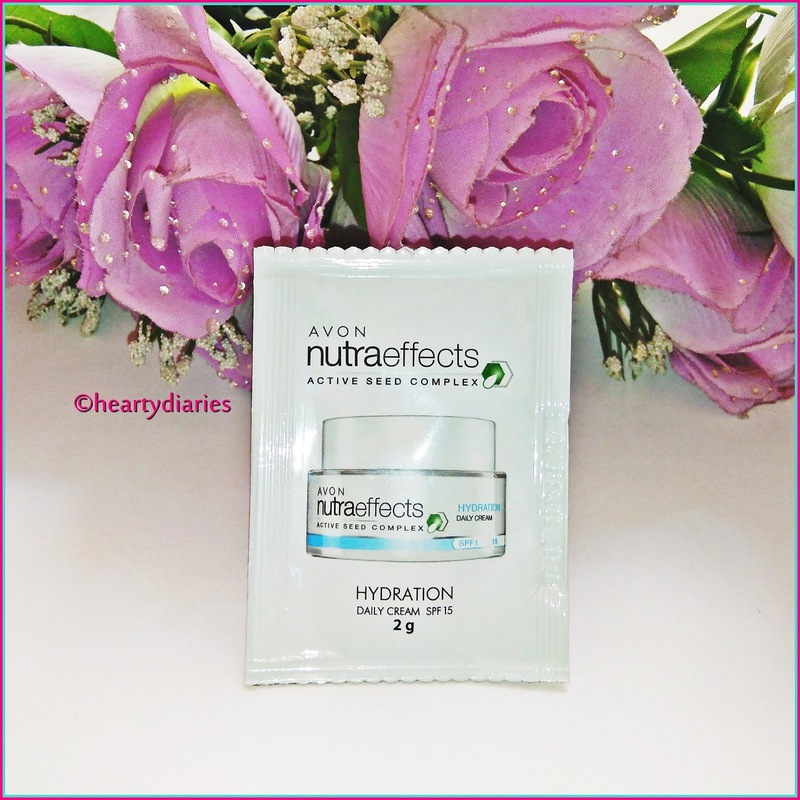 I hope my experience and opinion about this hydration cream helps you to decide whether you would want to try this product out or not.. Product Description: This lightweight cream, with SPF 15, helps keep skin looking and feeling smooth. Provides skin with continuous 48-hour moisturization. The formula, with active seed complex and Chia Seeds, is designed to help fortify the skin’s barrier, helping to protect against the drying effects of wind, cold and dry air while locking in moisture all day. Helps skin to feel replenished and deeply moisturised. To Use: In the morning, smooth over cleansed face and neck. For use as a sunscreen, apply 15 minutes before sun exposure. Warning: For external use only. Avoid contact with eyes. If product comes in contact with eyes, rinse thoroughly with water, keep out of reach of children. Product may stain fabric. Packaging: Even though I am reviewing this product via a sample sachet, it comes in a white tub having a white screw cap. The tub material looks like plastic in the picture but I’m not sure. It also has light-blue detailing both on the tub and on the sachet. I don’t really like tub packaging because it feels unhygienic to me and I at-least demand for a spatula inside such tubs. Texture and Consistency: This cream has a white, creamy texture and the consistency is light and runny. 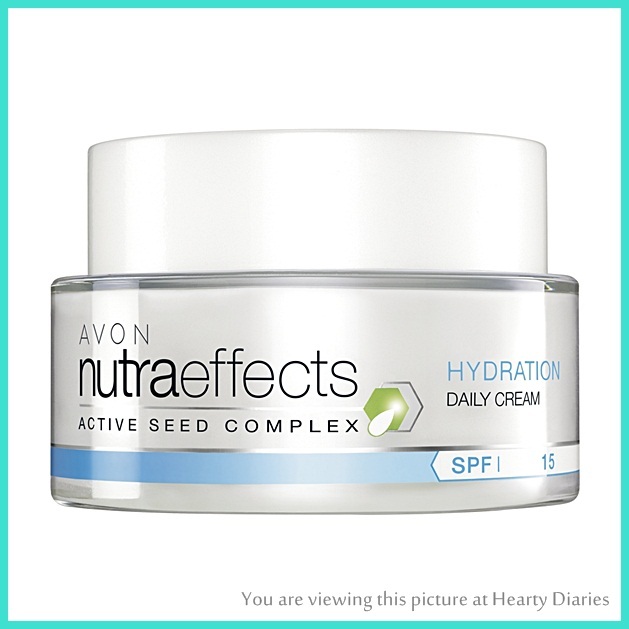 My Experience: Since it is an oil-free cream, I bought it for myself with high hopes but after using the Avon Multi Action Cream, my expectations with it were really low. The consistency of this cream is good and light weight, much liked by me. It spreads on the skin evenly and easily without much effort, gets absorbed within seconds and I really like its smell. I warmed up a little amount of this cream in between my fingers so that the ingredients are activated with the heat of my body temperature and it melts into my skin more. I dotted it all over my face with my fingertips and massaged in circular motions. It doesn’t feel heavy at all and feels quite refreshing. The beautiful, mild fragrance lasts all day, though the actual smell reduces within half an hour. The overall feel of this cream is quite good, not at all how I expected it and the moisturisation is worth a praise. Even though the hydration factor doesn’t last for as long as 48 hours as claimed, it works well for 24 hours. It gets absorbed in the skin giving a matte-finish and doesn’t leave a shine on the face. Since I don’t apply makeup on a daily basis, I would just apply this cream when I go out in the sun, put on my lip gloss, curl my lashes and would be all set to go! This is one of the best hydrating creams I have used ever. Yes. I quite like the over-all formulation, feel, texture and result of this cream, so I’ll definitely purchase a full sized product soon. Yes. This cream is suitable for all skin types, is light weight, feels good, works well, doesn’t cause any irritation, is cruelty free, so I’ll highly recommend it.. Final Verdict: This hydration cream is all I was looking for and would love to use it on a daily basis.. I highly appreciate Avon for bringing out a product free of parabens, phthalates, synthetic dyes along with SPF15 but I wish the packaging was improved. 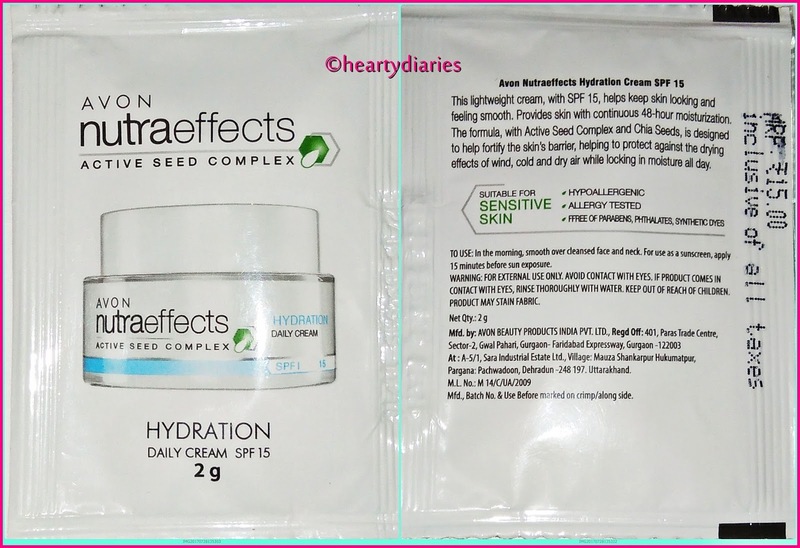 I am really happy with this hydration cream and recommend it to girls with all types out there! Thank you for stopping by my blog and don’t forget to comment below.. Make sure to follow it and show me some love. Really nice and detailed review.. Such gorgeous pictures Zeba. Keep it up…. 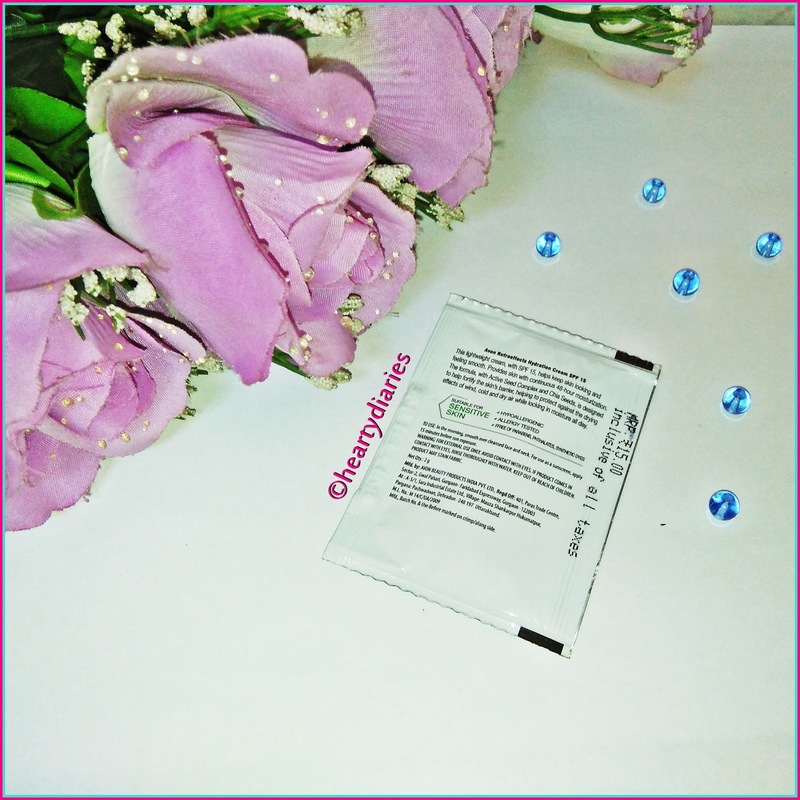 I have an oily and acne prone skin… will give this product a try! Had a nice read… thanks for sharing your experience ? Thanks a lot Nathanael.. Ur words mean so much to me.. I've signed up with my email to be notified whenever your shop is opened ? All the best for your future endeavors..
With tub packaging products I like using a toothpick to remove product. Not completely hygienic but better.